Trying to sort out what allows a river to serve human needs while still providing the ecological services that keeps the world over which it flows alive is about as complex a problem as one can imagine. So, I picked my article title carefully. Rivers do not deliver water like a concrete ditch. Instead, like the arteries and veins of a living organism, they convey not only water, but also oxygen, nutrients and host of microbial servants to needed destinations in the biosphere. As we use a river’s resources for human needs, we should take her pulse regularly to ensure the health of the greater body she nourishes. MaryLou Smith via the Colorado Water institute. After attending the forum last year, I wrote a four-month series in the “North Forty News” that ran from March to June 2018. 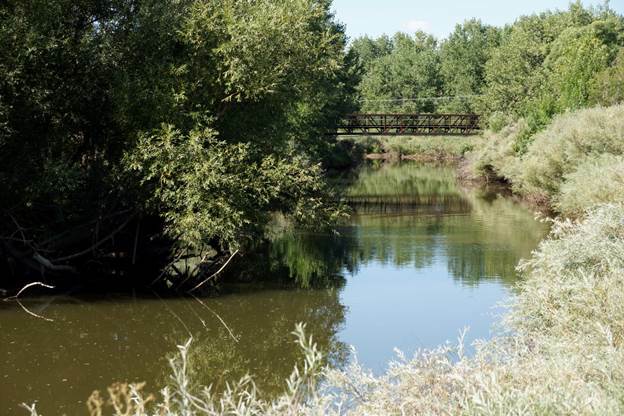 Please refer to that for background information on some of the basic issues of Poudre River ecology and management. This year I would like to focus on some of the people who make the forum work, and the process of talking TO each other rather than AT each other. 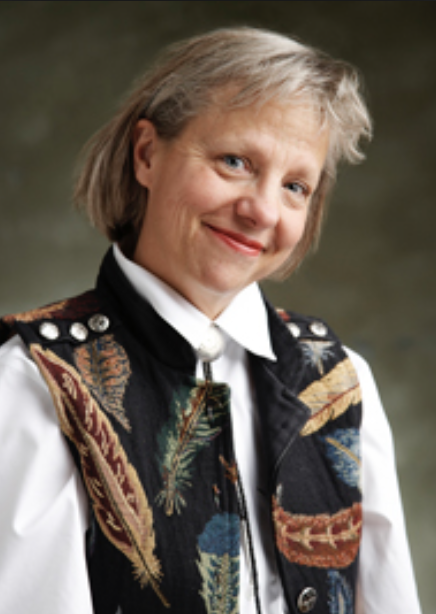 That process was largely established under the leadership of MaryLou Smith, policy and collaboration specialist with the Colorado Water Center at Colorado State University. Since she will retire after this year, someone else must replace her leadership — and her optimism. John Stokes, head of the Natural Areas Department of the city of Fort Collins, made a special point of highlighting Smith’s optimism. It’s easy to get pessimistic about complex problems with no simple solutions, but Smith manages to stay upbeat. She says she has “devoted her career to encouraging an open dialogue between people.” That was exemplified in 2011 when the concept for the Forum first developed. Another Colorado State researcher, Brad Udall (not in attendance at this conference), highlighted this problem in a 2017 study published in “Water Resources Research.” Colorado River flows in the 21st century are 19 percent lower than those in the 20th. Predicted flows could drop by up to 55 percent by 2100 as a consequence of global warming. (See “Re-engineering the Colorado River” in the February issue of Scientific American.) 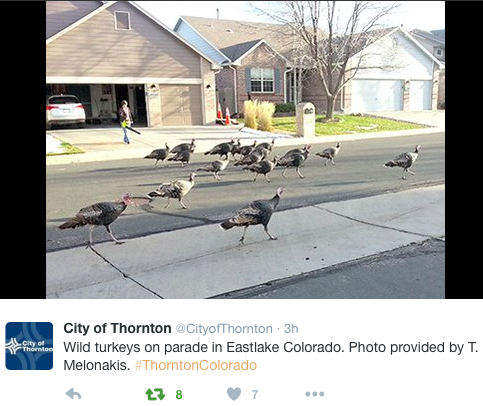 We can expect similar reduced flows in the Poudre River. This innovative program will eventually provide supplemental water to approximately 500,000 residents in northern Colorado while preserving thousands of acres of irrigated farmland. Water Secure is part of a strategic long-term plan to better plan for future growth and to consistently apply Colorado Water Plan principles to protect water for our communities, farms and the environment. Without innovative approaches such as Water Secure, the region is on pace to see hundreds of thousands of irrigated acres dried up by mid-century. “This is an outside-the-box, ‘buy-and-supply’ approach we’re taking to address the tightening water supplies facing Northern Colorado and its future generations,” said Northern Water General Manager Brad Wind. The recently purchased farm sits within an area of Weld County that is key to NISP – a project that, once built, will include Glade Reservoir near Fort Collins and Galeton Reservoir near Ault, and deliver approximately 40,000 acre-feet of water annually to 15 local communities and water districts. As part of the project, Northern Water and the NISP participants are working with the New Cache la Poudre Irrigating Company and Larimer and Weld Irrigation Company ditch and reservoir systems in Weld County, to use a portion of their senior water rights in exchanges that will ensure the NISP participants receive the water from the project. These exchanges with the two systems will keep water flowing to those farms, as well as include compensation that will enhance the long-term viability of their operations. To avoid water leaving those farms permanently through buy and dry purchases from other entities, Northern Water will buy land and water from willing sellers to ensure those supplies remain in the two ditch systems and available for exchange. 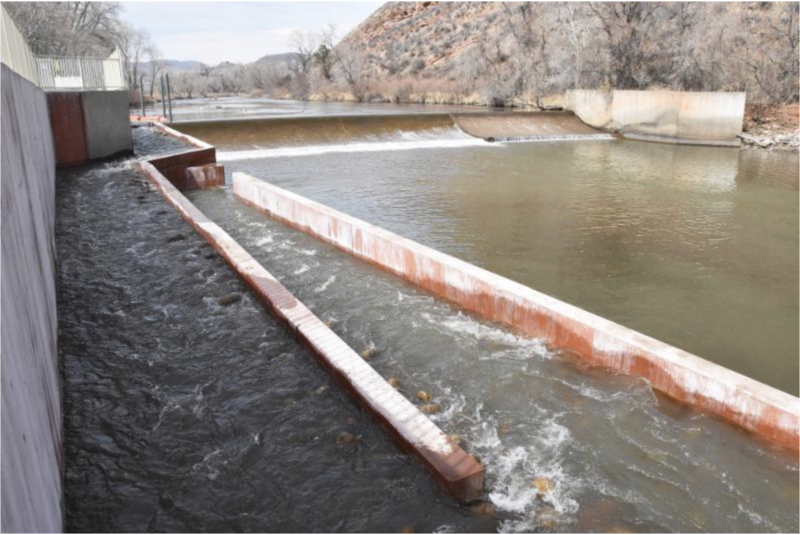 The senior water rights in the New Cache and Larimer-Weld systems are currently among the most sought after by water providers looking to obtain future supplies. Farms in the New Cache and Larimer-Weld systems bought by Northern Water will remain in production, through limited land use easements on the property, lease-back agreements or other arrangements that will require continued irrigation on those farms. Furthermore, the purchase of any irrigated lands will be done with the goal of eventually returning them to private ownership. “The Water Secure program maintains irrigated agriculture and provides open space benefits while eliminating many of the long-term challenges with the practice of buying and drying,” Wind added. To learn more about NISP, go to http://www.gladereservoir.org. Instead of municipalities buying up water rights on farmland and leaving them to dry out, the district is looking at the initiative as a way to both preserve irrigated farmland and provide supplemental water to an estimated 500,000 northern Colorado residents. During a phone interview Thursday, Northern Water spokesman Brian Werner said it’s critical to make sure water is delivered annually to farms. Northern Water and the NISP participants, which include Evans and Windsor, will work with the New Cache la Poudre Irrigating Company and the Larimer and Weld Irrigation Company ditch and reservoir systems in Weld County to use a portion of their senior water rights to make sure the NISP communities get water from the project. In turn, the exchanges with the two systems will ensure water keeps flowing to participating farms and include compensation. Farms in both systems purchased by Northern Water will remain in production through arrangements such as limited land use easements and lease-back agreements. “To avoid water leaving those farms permanently through buy and dry purchases from other entities, Northern Water will buy land and water from willing sellers to ensure those supplies remain in the two ditch systems and available for exchange,” according to the news release. 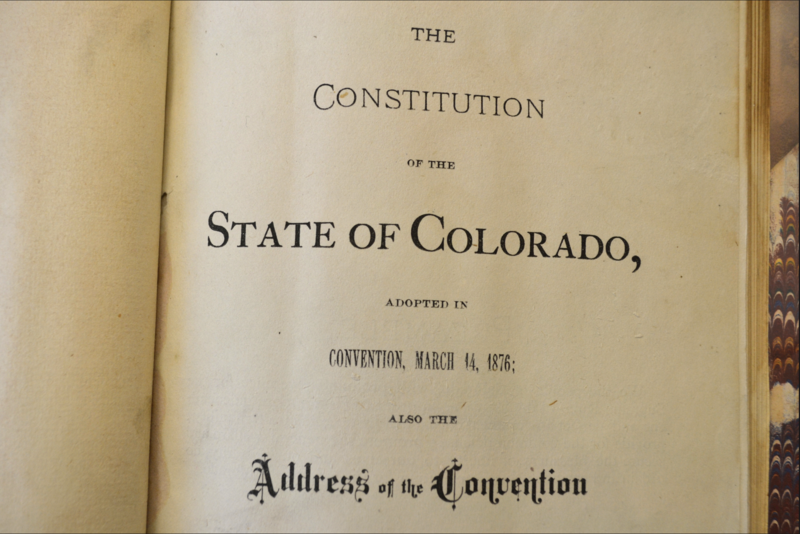 For the district, getting rights from both systems is significant — senior water rights in New Cache and Larimer-Weld systems are among the most sought after by water providers who are looking for supplies. Werner said the company isn’t sure yet how much the district will invest in the program but said it will likely take millions of dollars. Still, Northern officials emphasized that the purchase of any irrigated land will happen with an end goal in sight: return the farms to private ownership again eventually. The Windsor Town Board voted unanimously Monday to approve the second water rate increase of the year for residents as officials look to strengthen their plans to add more water supplies. The increase will bring rates up by an additional 6.21 percent, a hike that will appear on water bills April 1. In December, the board approved an annual increase of 3.29 percent that will be reflected on the March bill. For water users, the increase means average single-family monthly consumption charges will be about $38.37. In 2018, bills were $35.06 per month on average. During Monday’s meeting, town board said they didn’t come to the decision to raise the rates easily. In the town’s agreement with Northern Water, which manages the supply project, the town is scheduled to pay $100 million to the project by 2026, Town Manager Shane Hale said. The town won’t have enough money on its own to pay for that, he said, so officials will need a base of between $30 million and $33 million to issue debt to help pay for the cost in the future. Of the total cost Windsor will pay toward NISP, 12 percent will come from water users who will pay the rate approved Monday. The other 88 percent comes from town development fees. But Hale said town officials didn’t want to place the burden solely on developers and discourage them from coming to Windsor. Windsor has worked with consulting firms since 2009 to work on ways to secure water. Most recently, officials worked with Stantec Consulting to develop a plan to pay for Windsor’s place in the water supply project and operations, including collecting, cleaning, filtering, disinfecting and testing water. In all, NISP is expected to provide about 40,000 acre-feet of water to its participants. Windsor’s share of NISP is the third-largest among municipalities involved in the project. 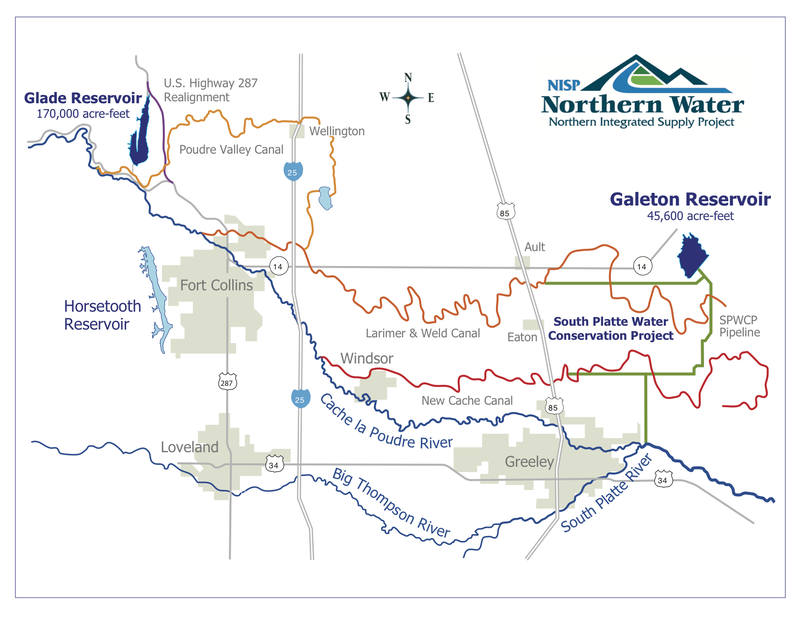 The two proposed NISP reservoirs include Glade Reservoir, which would be located near Ted’s Place north of Fort Collins, and Galeton Reservoir, which would be located northeast of Greeley. For comparison’s sake, Glade Reservoir’s capacity of 170,000 acre-feet is about 108 percent of the capacity of Horsetooth Reservoir. Galeton would hold about 46,000 acre-feet.